Welcome on the Infocities.eu website, home of city projects in the Information Society. On this site you can read about Infocities Office, see work-in-progress, read the sites of finished projects, but also you find "news and notes". The reason we started this section is because 1. there are no(t many) sites that treat policy and technological developments from a European perspective on the Information Society, and 2. we did not want to clutter our colleagues' mailboxes with e-mail "hey did you hear about this ..." while finding out later that other colleagues would have loved to receive the news. Through this Web site everybody can remain up to date effortless. "News" is "data". We want to provide "information": an added value to the news in the form of an opinion. "What is the significance of developments?". We do not pretend to predict the future, but possibly make a contribution to your own opinion forming. Click here to read more about Infocities Office. 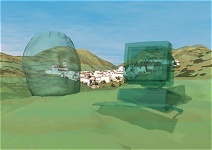 Infocities is on the Internet since 2 January 1997. In the first years as "Infocities.eu.int", indeed a rare subdomain of the European Commission's eu.int website. The "News and Notes" section exists since July 2000, but was integrated with several other sites into the "Infocities.org" website in May 2004. Since April 2006 we were so lucky to obtain the "Infocities.eu" domain. The site is published under responsibility of The Infocities Office, Rotterdam (NL). Infocities Office respects the rights of all copyright holders and in this regard, we have adopted and implemented a policy that provides for the termination in appropriate circumstances of subscribers and account holders who infringe the rights of copyright holders. If you believe that your work has been copied in a way that constitutes copyright infringement, please contact us immediately. All rights (including photos, artwork, buttons, design, software) are reserved, unless otherwise indicated. Deeplinking by other parties to news articles in our database is explicitly allowed. The Web site is powered by many (server-side) scripts, and we want to give special attention to Coranto. Coranto is a CGI program that allows you to add news and updates to your website easily. Click here for more information. Infocities Office does not sell Coranto. However, you may want contact us to configure Coranto for your purposes.